The following interview was originally published on Bad at Sports in March, 2014. It has been reposted here as part of the August in the Anthropocene series. In a 2007, Art Orienté objet, a French collaborative group comprised of Marion Laval-Jeantet and Benoît Mangin, began a series of body modification experiments intended to communicate with animals outside of language.”Basically the project was to artistically adapt Jacob von Uexkull’s Umwelt theory, which argues that the meaning of an environment differs from one animal to another in relation to its sensorial system” (Marion Laval-Jeantet, Self-Animality, Plastik: Art and Science, June 2011). 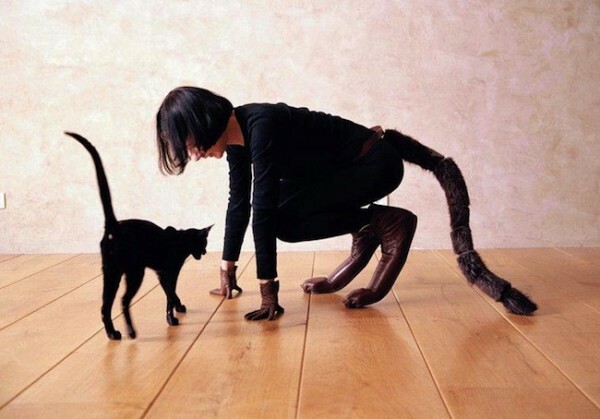 The project began with an investigation of cats, and eventually culminated in a single piece, Felinanthropy, where Laval-Jeantet put on a pair of cat-like prosthetic hindquarters; by transforming her status as a bi-ped, she was able to change the hierarchical relation between herself and the cat. A subsequent experimental work led Mangin to put on a prosthetic giraffe head and engage giraffes in a zoo, exploring the giraffe’s ability to recognize Mangin not as a human, but as something almost giraffe. More recently, AOo embodied an equine perspective; Leval-Jeantet built up a tolerance to horse blood by injecting a small bit of the animal’s plasma into her system over the course of a year. 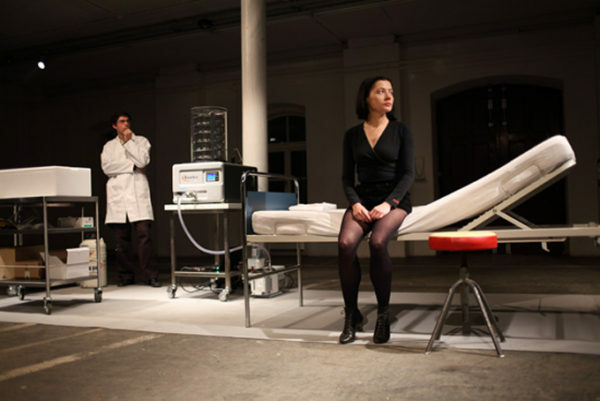 She subsequently staged a horse blood transfusion performance with her partnerBenoît Mangin. 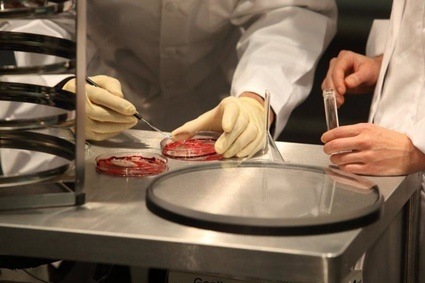 What remains of Que le cheval vie en moi!, is the “relic,” a small, innocuous petri dish, with human/horse blood. In the following interview, (originally conducted for Paper Monument where an affiliated essay, “Humanimals” was published), I asked Laval-Jeantet a few questions about this work. All answers have been translated into English by Basia Kapolka. Art Orienté objet, Felinanthropy, 2007. Caroline Picard: What were you anticipating the affect of injecting horse plasma into your blood steam would be? How did you expectations measure up with the reality of your experience? Marion Laval-Jeantet: In a certain way, I knew what to expect from the injection of the horse plasma since I had received injections of the horse antibodies one at a time during the preceding months. But it was still difficult to imagine what the effect of receiving all the antibodies at once would be. In actuality, my body’s reaction was much more unruly than predicted. I think the families of antibodies increased each other’s effects, so that the final reaction was very complex, affecting even my metabolism, my endocrine glands, my nervous system, as well as my sleep and appetite. CP: Also, did you use the blood of one specific horse? Did your relationship with that horse change at all? MLJ: I used the blood of three specific horses that belong to the laboratory I worked with. You couldn’t say I established genuine contact with the horses. On the other hand, I wasn’t specifically familiar with the horses before the experiment. The experiment changed my psyche so that I saw the horses differently after it, with a different appreciation. A familiarity. CP: Can you talk a little bit about your horse-stilts? How did your experience of your own body change? MJL: The stilts were mostly there to allow me a different way of communicating with the horse who was present during the performance. I was a little afraid of horses, actually. And it seems like horses attitudes change completely when your eyes are at the same height as theirs. With the stilts, my eyes were the same height as his, and I could see that the horse was calmer. It was also a way for me to be aware of the reversal of roles between me and the animal. And naturally, it was a way to distract myself from the possible anxiety that might arise because of the infusion. Because I was on stilts, I could only think of the goal: to join with the animal, and not of the psychological problems that might come out during the performance. Experiments with prosthetics always affect your fears about your body, and in the performance it was necessary that I have a strong sense of a double transformation, mental and biological. Art Oriente objet, Que le cheval vive en moi, 2011. 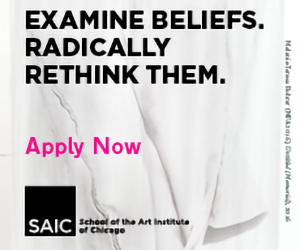 CP: Do you feel like your “self” has been forever altered? In other words, there is an idea I believe I, at least, take for granted: that is that my self is continuous and sustaining throughout a linear experience of time. This assumption is challenged by ideas of drastic plastic surgery, transplants and cloning, for instance—the self as it was defined before is fundamentally no longer the same self it was before. It seems to me your work poses similar a question: how can a distinctly human self sustain its identity when it has become, also, part horse? MJL: Your question about fundamental change is completely fair. At the moment, I have a very strong sense that my body, and also my identity were deeply changed by the experience. In a physical sense, it’s true. I will always have within me biological markers that bear witness to my meeting with the horse. The problem is that the external physiological effects seem to have only lasted a few months, and were strongest in the first four weeks. So today, even if there are some delayed reactions or long-term consequences, I can say that the transformation remains more in the mental structure than in the physical one. I have the sense of not having been completely human for some time. The experience changed my inner self forever. But this is also the case with previous strong experiences I’ve had, like my introduction to the pygmies of Gabon, who made me see death. Each of these experiences makes my thoughts and my existence more complex, the more they change them. I believe deeply in the adaptation of the human body. More than in homeostasis. Existence itself is a permanent transformation, a constantly-evolving system. You speak of changes made to the body, but I think grief, for example, shakes up identity much more. My aim is not so much a transformation of my essence, as the wish to respond to an eternal frustration: to finally feel the animal otherness in myself, but also to stop thinking from a purely anthropocentric point of view. Already, the pygmies succeeding in making me feel the spirits in the forest, during a trance. I think that I am less and less purely human, which is to say that I am fundamentally more and more human, in the utopian sense of philosophical humanism. Paper Monument was recently interview on the Bad at Sports podcast.